We provide take-off's and estimates to builders who only do renovations, or the builders that build a few homes a year. We are known for the efficiency of our tender document. 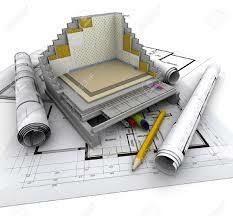 The largest portion of our service is residential estimating. Lately potential homeowners became aware of all the pitfalls in the way of the construction process. We have clients that focus on commercial buildings such as block of flats, light industrial buildings or smaller shopping centres. We provide them with Cash flow management, Payment certificates and 24 hour back up support. ALL AFRICA HOUSING(PTY)LTD is an national consulting company with a reputation for excellence in the resolution and avoidance of construction disputes. The Company is at the forefront of contract advice, dispute avoidance and resolution with emphasis on first class skills, expertise and long term client satisfaction. With ALL AFRICA HOUSING(PTY)LTD Contract Advice expertise and experience we are able to advise on the interpretation of non-standard forms of contract, commercial risks within tender documentation, give strategic advice on dealing with contractual issues between parties and investigate the performance, cost, time over-runs and consequential risks on projects. With ALL AFRICA HOUSING(PTY)LTD Claim Preparation experience and knowledge we are able to put procedures in place to facilitate the correct evaluation of contractual claims, ensure proper records are kept and that these are in accordance with the contract and best practice. We provide staff with the necessary legal and technical skills to prepare or respond to any contractual claim in the construction industry. The principle function of a project plan is to organize the execution of the works and the efficient deployment of resources so that the contract requirements and cost objectives are met. The best way of doing this is to use the Planning, Preparation, IMPLEMENTATION, and Management. (PPIM) programme. The PPIM programme requires to be carefully composed so that both the client and the contractor can monitor and execute the works. When, as inevitably happens, changes arise the PPIM programme provides the basis for making decisions which are consistent with the contract and cost requirements. ALL AFRICA HOUSING(PTY)LTD Consulting’s skill and experience in planning complex construction projects using most of the PPIM factors available today, ensures that the project is delivered as efficiently as possible. ALL AFRICA HOUSING(PTY)LTD provides delay analysis services at any time during the project lifespan and even after it has been completed. Backed up by practical experience and with a track record that is second to none we are able to determine how and why the work was delayed and who is responsible for the delay. We summarise our findings in a written report which will be cross-referenced to supporting data. If required we will provide options how the delay may be recovered in total or in part. ALL AFRICA HOUSING(PTY)LTD offers facilitation services for partnering initiatives to the civils, building, utility and sub contracting sectors of the construction industry. ALL AFRICA HOUSING(PTY)LTD acting on behalf of one of the Parties will advise on the appropriate procedure, draft mediation agreement and rules, the realistic level of settlement and drafting the settlement agreement. ALL AFRICA HOUSING(PTY)LTD acting on behalf of one of the Parties will analyse a party’s case, provide skilled personnel to prepare a case or response to a claim within the time limits laid down by the Act and the adjudicator(GMBA). ALL AFRICA HOUSING(PTY)LTD Consulting has represented Parties in numerous adjudications and as Adjudicator on a large number of disputes. ALL AFRICA HOUSING(PTY)LTD provide an initial appraisal on the strengths and weaknesses of the case and the likely weight of supporting evidence and an analysis of risks – both financial and non-financial – of various courses of action open to the client. We provide a strategy plan to develop and present the case for achieving a settlement and a budget for the whole of the proceedings at the earliest possible time and provide monthly reports on progress against budget. ALL AFRICA HOUSING(PTY)LTD Consulting has been appointed as an Arbitrator in variuos domestic disputes. Programme Management is “the implementation of strategy through consolidated programmes of projects”. It is more than doing projects right. It is the successful delivery of projects that are aligned with the strategy of the organisation. ALL AFRICA HOUSING(PTY)LTD ensures that the projects which make up the programmes are consistent with the strategy, they are run correctly, are co-ordinated in terms of dependencies resources and risks so that they are run in a consolidated way. ALL AFRICA HOUSING (PTY) LTD offer an integrated approach to value construction, usually as an essential element of an integrated strategic procurement strategy. Our value management consultants are experienced construction professionals who are also skilled in blue PRINT FACILITATION. Our approach is totally "client focused" in that we work with the client to carefully diagnose the situation before offering SOLUTIONS.Each project is therefore unique, and our advice is carefully matched to the specific needs of individual clients. ALL AFRICA HOUSING(PTY)LTD offers an integrated approach to project risk management, usually as an essential element of an integrated strategic procurement strategy. A successful active risk management strategy is fundamentally important to both public and private sector clients if they are to attain maximum value for money from their construction projects.